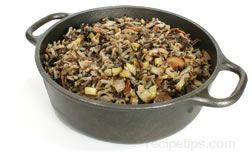 The name given to any food dish prepared with mixed ingredients that include a starch (pasta, potato or grain), a protein (meat, poultry or fish), and vegetables combined with a soup sauce to keep it all together and baked in a covered dish. 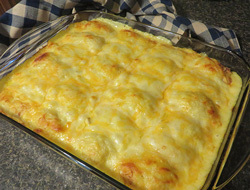 Greek and Latin in origin, the term Casserole is a common reference for a variety of different food dishes that combine ingredients in a soup-based sauce such as cream of mushroom or cream of chicken soup. 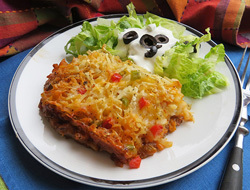 Another term used in reference to a Casserole is hotdish. 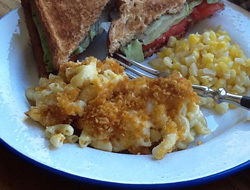 Chicken and rice, tator tot hotdish, or tuna noodle hotdish are all forms of a Casserole or hotdish. Casserole may also be a term used to describe the piece of kitchenware in which the food is being served, such as a Casserole pot or dish. 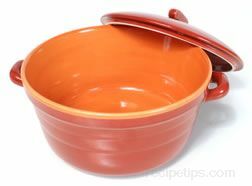 Casserole dishes are typically round and made from metal or oven-safe glass and pottery.